This week kicks off with a beautifully crafted sequence depicting the first consequences of Lester’s actions to incriminate his brother. Shots following Gordo’s bag (Chas Nygaard’s son) that conceal the revolver. He picks it up from the kitchen table, takes it on the bus filled with children and finally we see his bag knocked off his desk due to two kids play fighting, the gun skids out of the bag and scrapes its way along the floor towards the camera – silencing the busy classroom. Chas is informed of this at work and drives to his neat little suburban home to find it crawling with cops searching his gun cabinets. Chas is obviously expecting them to find what he knows is in his possession and within his licence but he’s not expecting them to find the hammer, boudoir photos and a very unsexy pair of knickers. After last week’s violence-heavy episode, this week is a bit calmer. 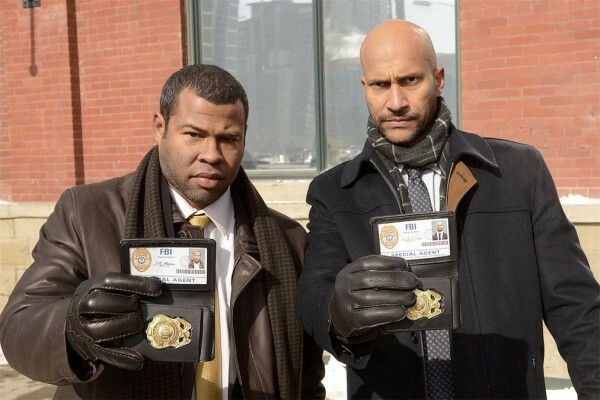 We are treated to a strong bit of scripting after the ‘evidence’ is found, the show is written well overall but this is written extremely well, even little bits where Lester has Bill Oswalt (Bob Odenkirk) wrapped around his finger, Bill even chipping in and putting words in Lester’s mouth but not in the usual TV ‘Good Cop, Bad Cop’ style, but in a tearful eating every word sort of way. This scene is verging on the stylings of Breaking Bad and Game of Thrones, long dialogue heavy scenes that explain a lot of what’s going on and what will happen later on (or at least what they want you to think will happen). Lester creates the scenario on-the-fly, how he got home to find his wife and brother arguing, and Chas then smacked his wife over the head, Lester was scared and dare not say anything to the police or anyone else. 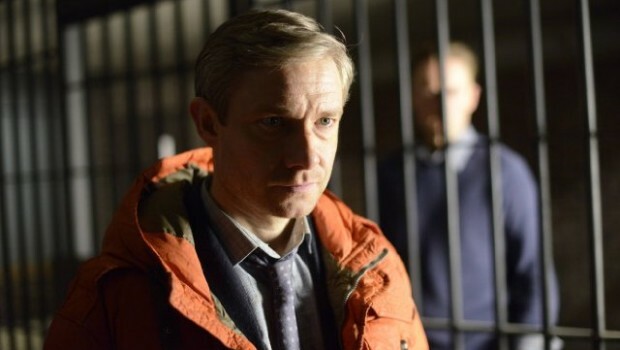 Martin Freeman’s performance isn’t as captivating as Walter White was or how how Tyrian Lanaster holds a whole court of his peers, but it was good enough to do what was needed. We see a bit more of Lorne’s story unfolding this week, he goes looking for who sent ‘Numbers’ and ‘Wrench’ after him. He reaches a man he thinks may know something, expressing more unusual quirky dialogue ‘This phone calls an ambulance, and this one a hearse, I’m gonna ask you again, depending on the answer, I’m gonna call this one or that. Who do I talk to in Fargo?’ From the scream that follows as Lorne laves the building, it wasn’t the ambulance that will need calling. Lorne continues on his little hunt for information by entering a building seemingly related to his situation, and firing upon anyone in his way that isn’t helpful. He fights his way to the top ultimately reaching where you believe he wanted to, the boss fight. 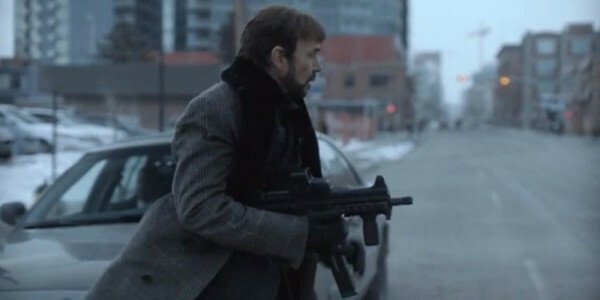 This squence is all hidden from your eyes and played out behind a poor CGI sequence of the camera tracking where Malvo would be. Finally we end with another little act of revenge for Lester with his new altering ego, we’ve gone from a Man petrified of his own shadow to him clearly flirting with Sam Hess’ widow to ‘grease the palms’ for money he knows she will never get regardless of how ‘greasy’ those palms get. Lester isn’t currently shopping for a Fedora hat and threatening drug lords but he is slipping down a dirty hole, let’s see how far he goes.